The Patriots won their fifth straight game on Sunday and did so in impressive fashion against the powerful Denver Broncos. 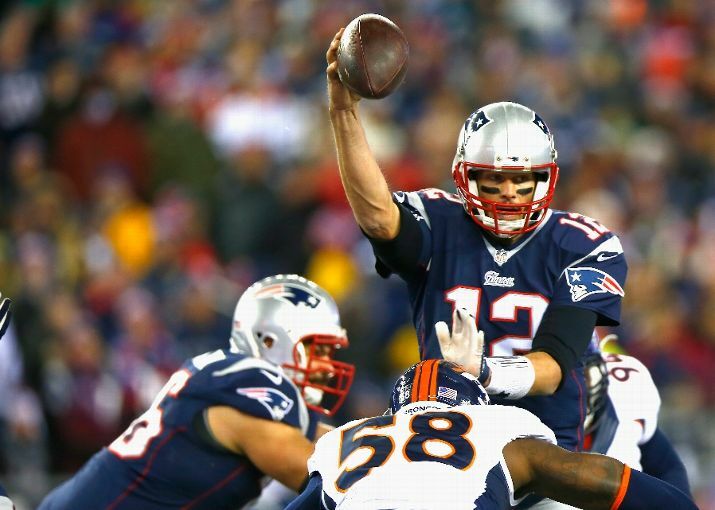 Tom Brady’s four touchdown passes led New England to the 43-21 pounding of the Broncos. All four of those touchdowns went to different receivers. Despite the final score, there was little scoring to talk about in the first few drives. Stephen Gostkowski’s 49 yard field goal broke the deadlock midway through the first quarter to give the Patriots a 3-0 lead. Denver responded right away with Ronnie Hillman pounding the ball in from a yard out to give Denver the 7-3 lead. The Patriots opened the second quarter with another Gostkowski field goal, this one from 29 yards out for a 7-6 deficit. The Pats defense stepped up on the following possession with Rob Ninkovich stepping in front of Demaryius Thomas and intercepting Peyton Manning. Four plays later, Brady hit Julian Edelman for a 5 yard touchdown and a 13-7 lead. Edelman was not done in the second quarter. After seeing their drive stall at their own 31, the Broncos punted the ball. Britton Colquitt had trouble with snap, but managed to get the punt away. Edelman took the punt, made a stutter step, and then went down the sideline with a huge opening. He continued to make people miss and finally got in the end zone to make it 20-7. The punt return went for 84 yards. The Broncos did well to move the ball on the next drive, but Brandon McManus‘ 41 yard field goal hit off the right upright and fell back to the field. The Broncos marched back down to the Patriots’ 34 yard line and decided to go for it on fourth and six. Akeem Ayers, who has been with Patriots for only two games, made the sack and gave the ball back to New England. The Patriots made the most of it with Brady hitting Shane Vereen for a 5 yard touchdown strike with 11 seconds left in the first half. That made it 27-7 at the break and the Patriots had all the momentum. The Patriots opened the third quarter with an interception when Bradley Roby made a diving interception. The Broncos turned the pick into a touchdown with Manning finding Julius Thomas for an 18 yard touchdown. The Pats hit a 45 yard field goal to to extend their lead to 30-14. Manning would throw his second interception when Wes Welker could not hang on to the pass and was crushed on the play. Brandon Browner caught the ball and returned it to the 10 yard line. Welker was diagnosed with a back injury and would not return after that play. The Patriots made quick work of the interception as they only need one play, a 10 yard pass from Brady to Brandon LaFell, to make it a 37-14 game. The Broncos cut the lead to 37-21 with Manning hitting Hillman for a 15 yard touchdown, but that would be all they could muster against New England’s defense. The second play of the fourth quarter produced a spectacular one-handed catch from Rob Gronkowski to reach the one yard line. Gronkowski would get the honors on the next play with a one yard touchdown catch on a slant from Brady to make it 43-21. Brady’s two-point conversion to Edelman was stopped short of the goal line to finish off the scoring for the game. Denver had chances to close the gap, but were stopped on fourth and goal from the New England 8 on the next drive. Two drives after that, Manning’s pass to Emmanuel Sanders was a bit too long and the Broncos once again turned it over on downs. Peyton Manning went 34 of 57 for 438 yards with 2 touchdowns and 2 interceptions. The 57 attempts were a by-product of an awfully ineffective run game. The Broncos had 43 yards rushing on 17 attempts for a paltry average of 2.5 yards. The leading rusher was C.J. Anderson with 3 carries for 18 yards. Those 18 yards all came on the final three plays of the game. Ronnie Hillman ran 10 times for only 16 yards with a touchdown. Emmanuel Sanders had another big game with 10 catches for 151 yards. Demaryius Thomas had 7 catches for 127 yards as the second leading receiver. Tom Brady went 33 of 53 for 333 yards with 4 touchdowns and one interception. It was Brady’s 22nd career game with four or more touchdowns, which moved him into fourth all-time ahead of Dan Marino. The Patriots did not have a great game rushing themselves with 66 yards rushing on 25 carries. Jonas Gray ran 12 times for 33 yards and Shane Vereen had 11 carries for 29 yards. 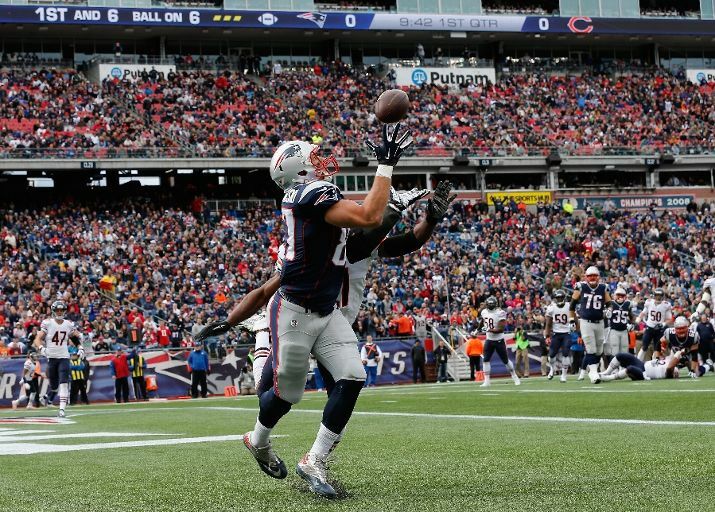 Rob Gronkowski led the way in receiving for the Patriots with 9 catches for 105 yards and a touchdown. Julian Edelman had 9 catches for 85 yards and a touchdown to go along with the 84 yard punt return touchdown. Brandon LaFell caught 6 passes for 53 yards and a touchdown while Shane Vereen had 5 catches for 38 yards and a score. Even Danny Amendola had 2 catches for 35 yards and fullback James Develin caught 2 passes for 13 yards. The Denver Broncos (6-2) will play their second of three straight road games next week. They will face fellow AFC West foe Oakland (0-8) next Sunday. The Patriots will have a bye next week before returning on Sunday, November 16 to face the Indianapolis Colts on the road. Chris Jones blocked a field goal on the last play of the game to give the New England Patriots the 27-25 victory over the New York Jets in a thrilling game between the two teams. The game started well for the Pats with their first drive going for a touchdown. Tom Brady hit Shane Vereen on a 49 yard touchdown pass on a simple go route as the defense was in shambles to make it 7-0. The Jets responded with an excellent drive of 72 yards in 12 plays, but only came away with a 22 yard field goal to make it 7-3. That would be the theme for the Jets early on in this game. After a three and out for the Pats, the Jets got another field goal from Nick Folk, this time it was from 47 yards out and the score was 7-6 in favor of the Patriots after one quarter. The Jets third drive ended with, you guessed it, a third field goal from Folk. The Patriots responded with a touchdown thanks in large part of Brady slinging the ball around. He eventually found Vereen for a 3 yard touchdown, his second touchdown catch of the game to make it 14-9. The Jets, however, were not done with the field goals as Folk hit his fourth of the game on the ensuing drive to make it 14-12 Patriots. The Patriots had one last chance for points and Stephen Gostkowski made sure the Patriots took a 17-12 lead into the break with his 39 yard field goal. The second half was much the same as the first with the Jets giving the Patriots all they could handle. The third quarter started with a statement drive from the Jets as they went 80 yards in 11 plays and took the lead on Chris Ivory‘s one yard dive over the top of the pile. The Jets took a 19-17 lead after opting for the extra point. The Patriots recaptured the lead on their first drive of the third quarter when Gostkowski connected on a 36 yard field goal. Both teams would exchange punts to end the third quarter and to start the fourth quarter before the Patriots received the ball at the Jets’ 46 yard line. The Pats quickly drove down to the Jets’ 3 yard line, but back-to-back penalties left them with a third and goal from the 19. That did not matter as Brady scrambled to his left on third and goal and hit Danny Amendola with a beautiful pass over the cornerback to take a 27-19 lead. Once again, the Jets mustered an answer. They drove 86 yards on 12 plays with Geno Smith‘s 10 yard pass to Jeff Cumberland making it a 27-25 game. Smith’s pass on the two point conversion was too high and the deficit remained at two points with 2:31 left in the game. With 1:06 remaining, the Jets go the ball back at their own 12 yard. An efficient drive by Smith ended with Folk’s 58 yard field goal attempt. That would be blocked by Chris Jones and the Patriots managed to survive against their arch-rival and AFC foe. Geno Smith had a solid game by going 20 of 34 for 226 yards with a touchdown. Early in the fourth quarter, Smith’s left leg was rolled up on and he was in serious pain, but he only missed one play before coming back in. Smith was sacked three times for a loss of 21 yards, but he was effective running with 37 yards on 7 carries and picked up several key first downs. Chris Ivory ran with passion and he finished with 107 yards and a touchdown on 21 carries. Chris Johnson had 61 yards on 13 carries and was featured in the wildcat formation several times throughout the game. Eric Decker led the Jets with 4 catches for 65 yards while Jeff Cumberland had 3 catches for 50 yards and a touchdown. Tom Brady had another good game though the completion percentage was low. He went 20 of 37 for 261 yards and 3 touchdowns. Brady had one sack for a loss of a single yard. Shane Vereen had 11 carries for 43 yards in place of Stevan Ridley. Jonas Gray was signed off the practice squad and ran 3 times for 12 yards. 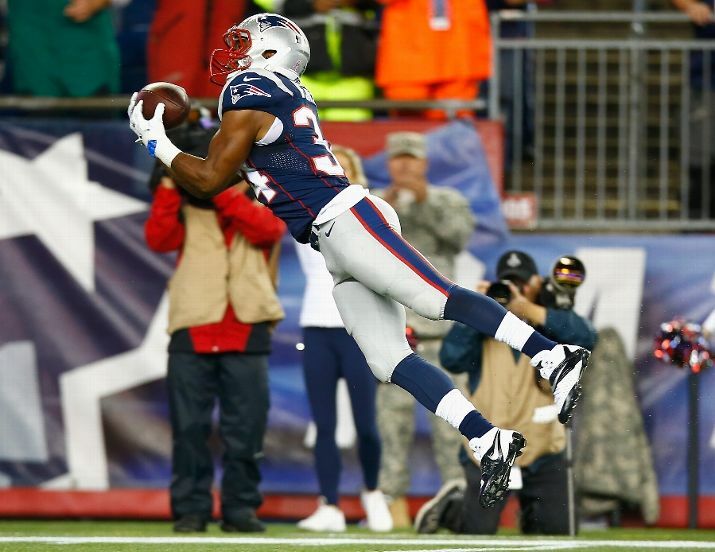 Vereen was also the leading receiver with 5 catches for 71 yards and 2 touchdowns. Rob Gronkowski had 5 receptions for 68 yards while Brandon LaFell caught 4 passes for 55 yards. Julian Edelman had 4 catches for 44 yards, but uncharacteristically dropped several passes when he was wide open. New York (1-6) continues their slide with their sixth straight defeat. 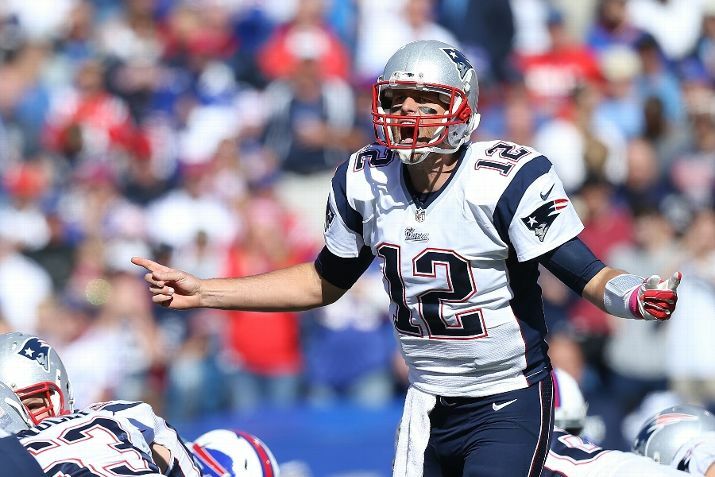 They have 10 days to prepare for another AFC East rival in the Buffalo Bills on October 26.